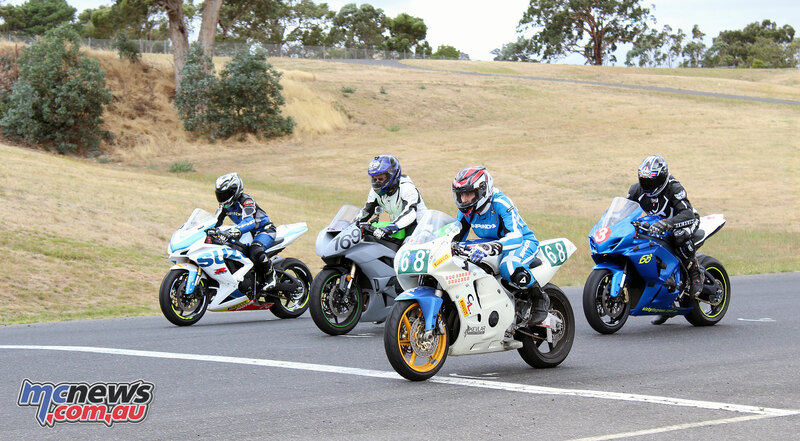 Last weekend Victorian Road Racing was given it’s second look at bracket racing. 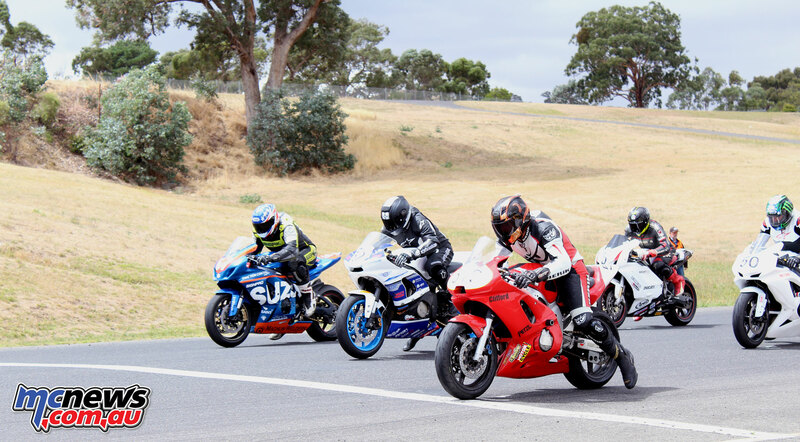 A concept which has been run for many years with great success in South Australia, bracket racing was last trialed in October in Victoria by the Preston Motorcycle Club. After a good number of entries to the trial event last year appeared and with a lot of interest shown for running another event, it was no surprise to see a good number of riders enter for the first bracket racing event of 2017. 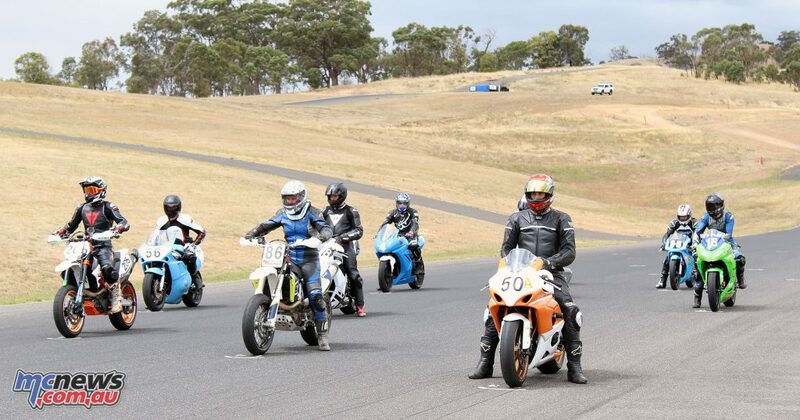 The concept for those who are only just hearing about bracket racing for the first time is simple enough, and is designed to allow new riders to experience the thrill of racing without have to ride against very experienced racers who are travelling significantly faster than them. 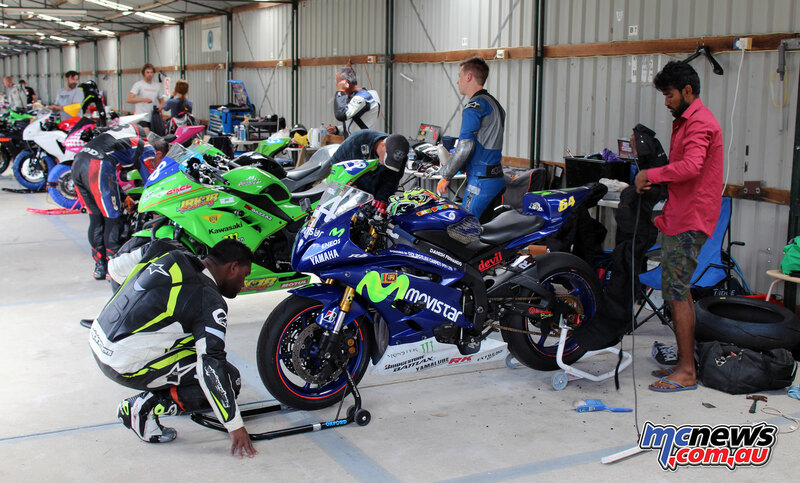 The riders have a practice and qualifying session. Times are recorded and the riders are placed into a bracket according to their average lap times in qualifying. The times run in 10-20 second brackets, forming several grids with riders of similar laptimes. The key being you are not allowed to break out. This means not lapping any faster than 1 second of the fastest lap of that race. The exception is of course the number one bracket, which can run as fast as they are capable of. Riders from complete beginners through to experienced state level road racers were present at this meeting, which meant not only seeing some very competitive races among the brackets, but also some faster lap times among some of the more experienced racers. 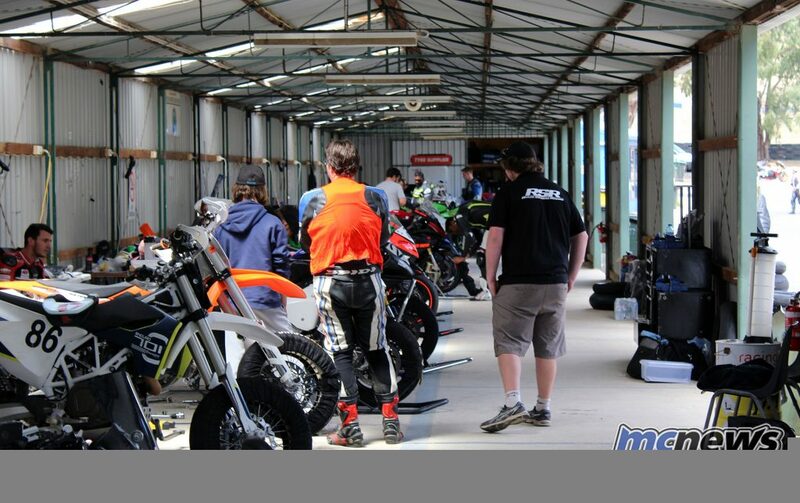 Having a ride day the day before gave all the riders some practice time and convinced others that they should have a go at bracket racing. 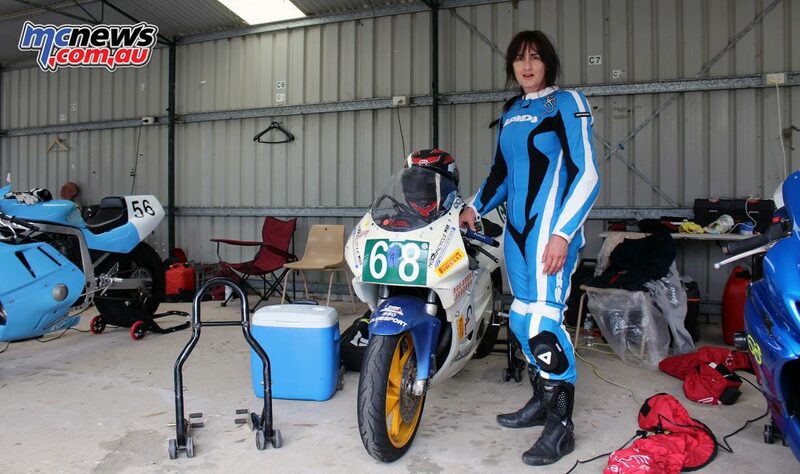 One rider and their crew stripped a road bike on the Saturday night after the ride day and converted it into a race track legal motorcycle by 1am on the morning, allowing the rider to then compete in the bracket racing event on Sunday. 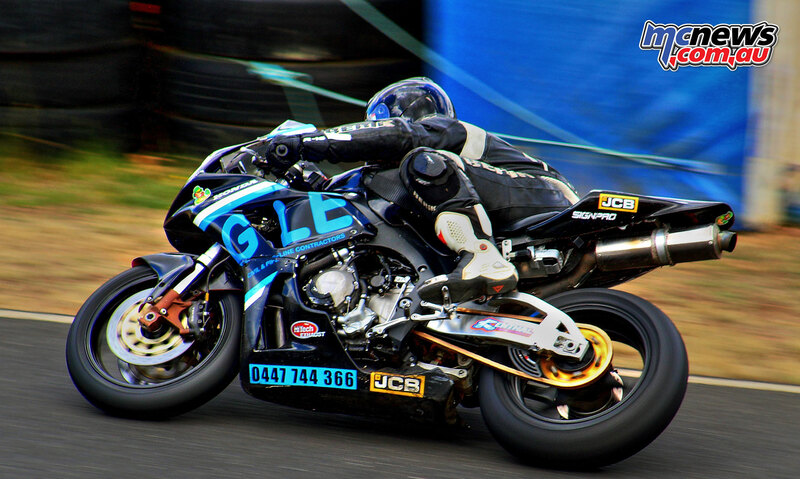 Even in some of the brackets with the slower lap times, the nature of the riders being placed in appropriate brackets made for brilliant racing. With the lead more often than not being battled out among four or five riders. Then again, back in the field, there was a lot of hard racing going on for the remaining placings. 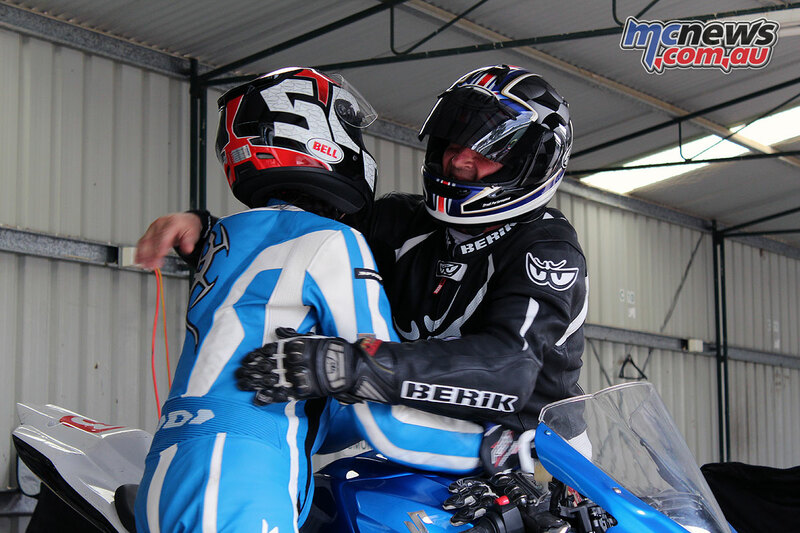 Every rider was doing their best to not only win, but also to stay within their time bracket. 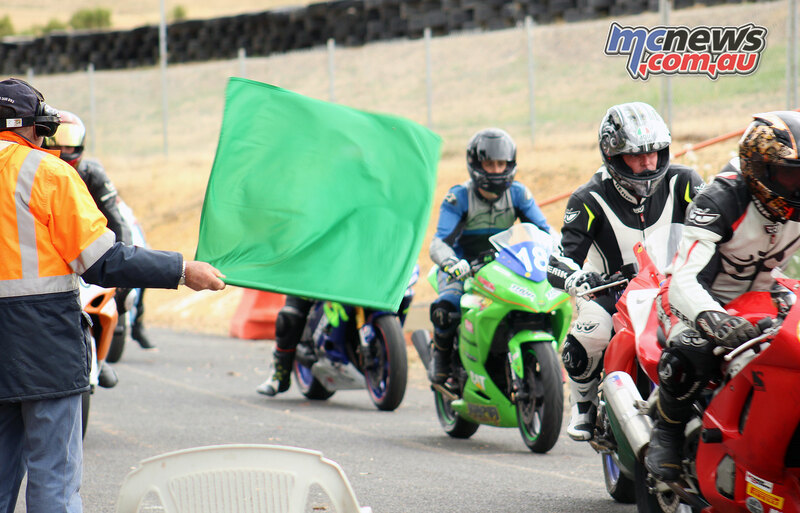 As a concept for encouraging newer riders, I think bracket racing is a real winner, and in encouraging more spectators, I think bracket racing is also a success.